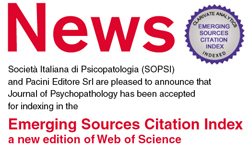 Journal of Psychopathology is the open access official journal of the Italian Society of Psychopathology. 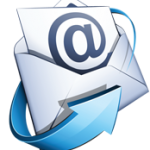 The Journal provides files online published since 1999. Cited in EMBASE – Excerpta Medica Database, Index Copernicus, PsycINFO, SCOPUS, Google Scholar and Emerging Sources Citation Index (ESCI), a new edition of Web of Science.